The class will be presented by one of Cinta Bahasa's (www.cintabahasa.com) certified teachers, in our lovely and chilled Garden Café. This is only open to people who have either taken the Beginner's Class with @CintaBahasa and/or already have a basic knowledge of Indonesian. You may already be in the process of learning Indonesian but feel that you need additional tuition with your oral skills. 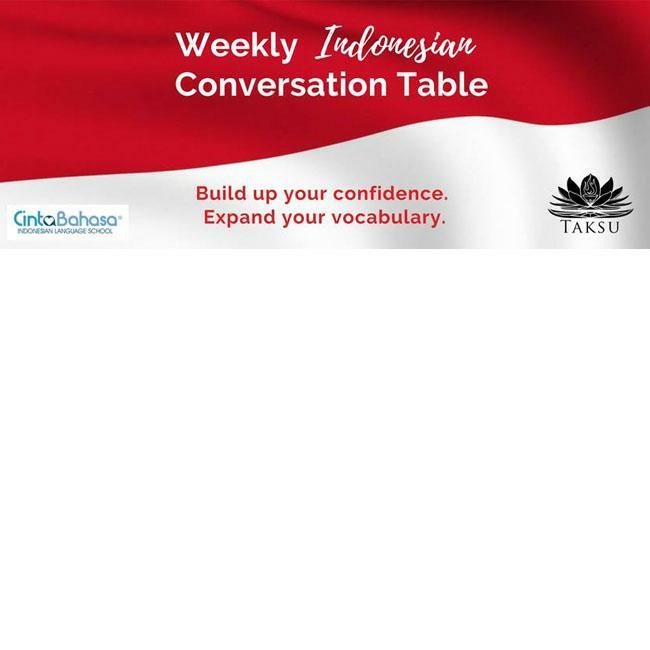 Our Indonesian conversation lessons have been specifically developed to help improve your Bahasa Indonesia speaking skills and to build up your confidence during daily interactions. This class focuses on a variety of situations and will include a range of teaching methods to improve your skills such as role-plays, group discussions and presentations. Bit by bit, your spoken Bahasa Indonesia will improve and you build up a wider level of vocabulary and have improved your fluency, accuracy, pronunciation and listening comprehension. Classes are for a minimum of 3 people and a maximum of 6. Due to preparations that are required, each class participant needs to be confirmed at least one day in advance. To register : WhatsApp or call +62 812 3916 5005.